Oh congrats, it´s just beautiful Reeze! It's absolutely beautiful! I just hope that mine turns out as good. 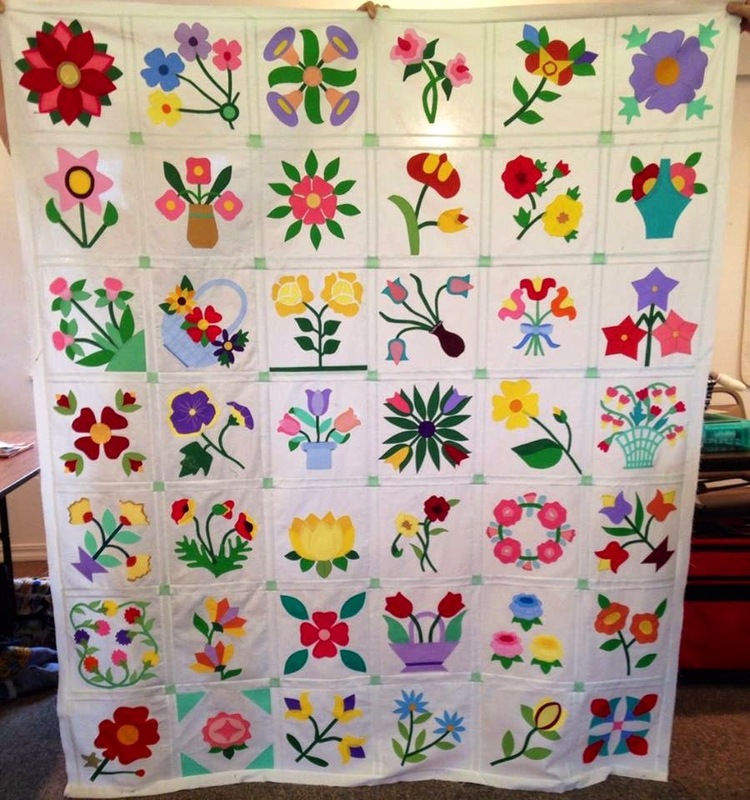 I Love the quilt and I can understand taking so long to get it finished. I don't know how you have the energy for all of that. I am glad of your patterns as I think they are wonderful. Thank You for them. Reeze it looks Fantastic. I can't wait to see it all quilted and embellished. I don't know how you find the time to do all you do. You must be very organized. I am retired and have my days to myself and still don't seem to get much done. Wowee! 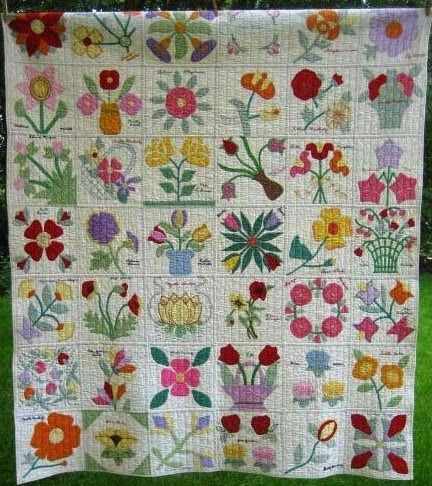 Your quilt is just stunning :) I feel like a wimp for not having mine finished yet....Thanks for all the great designs you share with us, Reeze. It is even more beautiful than I expected! I'm am also still working on mine but it is so great to see how pretty it will come out. Makes me want to work on it more now. It really is beautiful. Will look foreword to the book. Great job, Reese! It is lovely! The white background is just perfect with those fresh colors. You did a magnificent job and were so very kind to share it with us. I saved as many of the blocks as possible and it is on the retirement list of things to do. Love it, so bright and cheery, especially on this cold and nasty MO day. So beautiful, Reeze! You did a great job on recreating it. I had that 3 week cough/bronchitis - ugh.